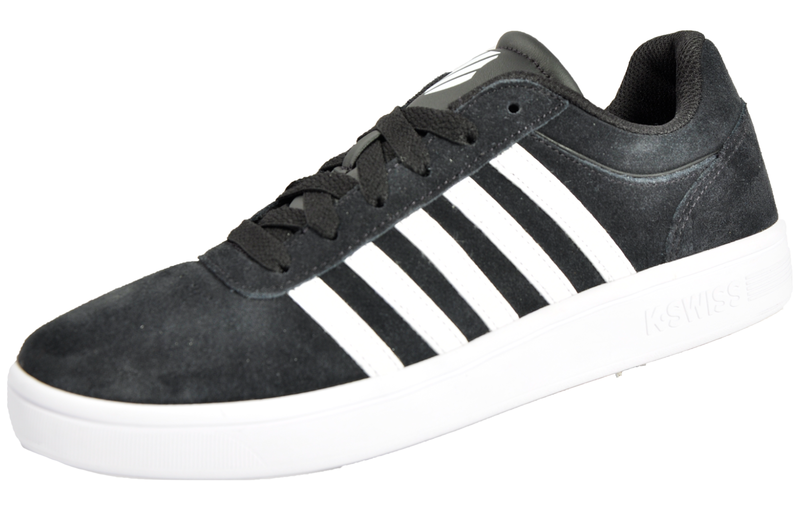 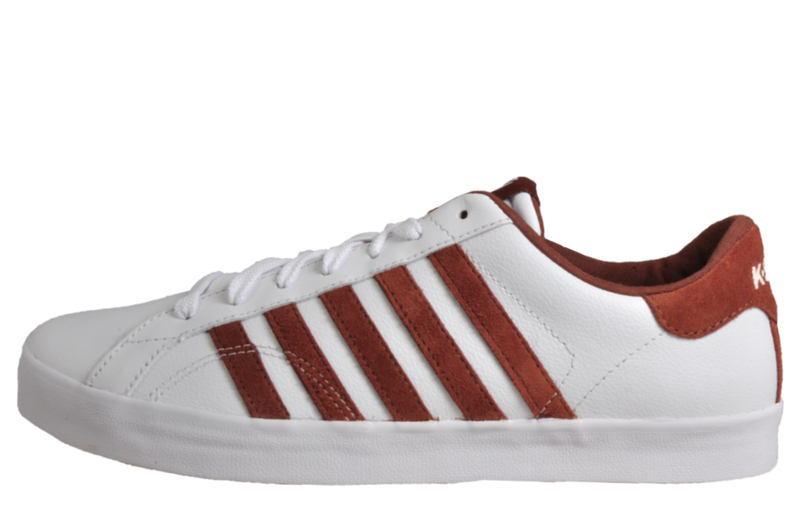 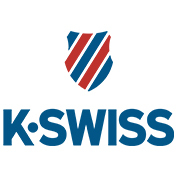 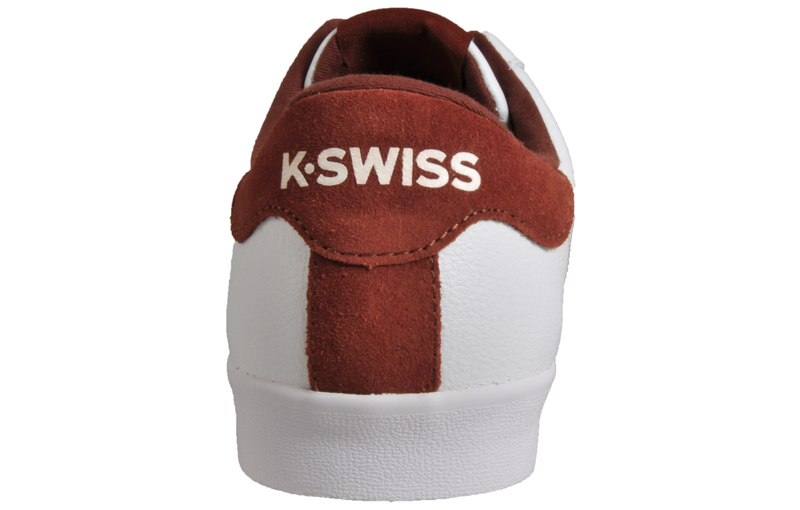 The K-Swiss Belmont is a classic low-profile trainer constructed in a crisp clean white leather upper with the brand's iconic 5-stripe design adorning the sides in friar brown suede, delivering an authentic designer feel which anyone would be proud to wear. 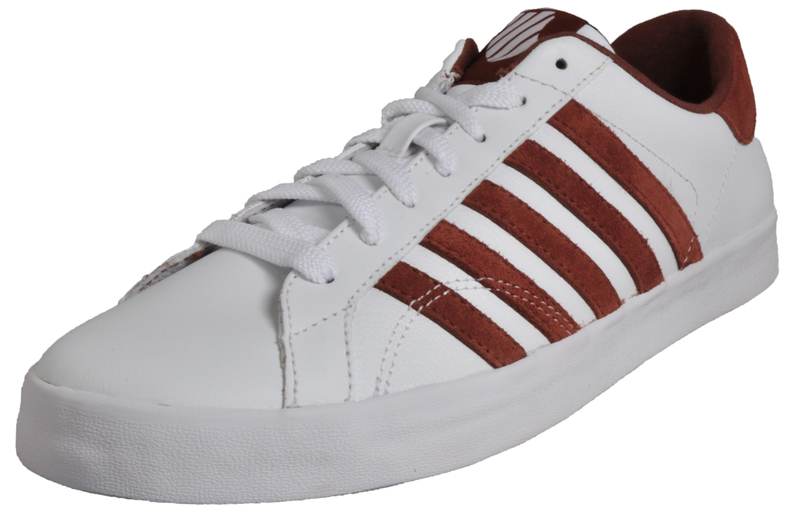 Featuring intricate decorative stitch detailing and traditional lace up fastening to keep your feet firmly in place, this is a trainer that will take you from day through tonight in style and comfort. 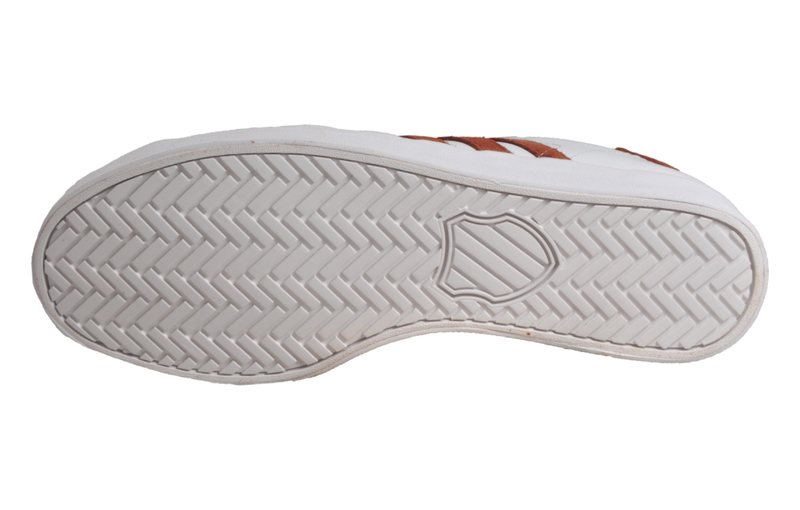 The Belmont men’s shoe is finished off with a durable rubber sole with a slimmed down look to add a sporty designer feel to your everyday style, great looking shoes with a retro heritage feel that can be carried off with any casual wear.